Who Isn't in Taylor Swift's 'Bad Blood' Video? 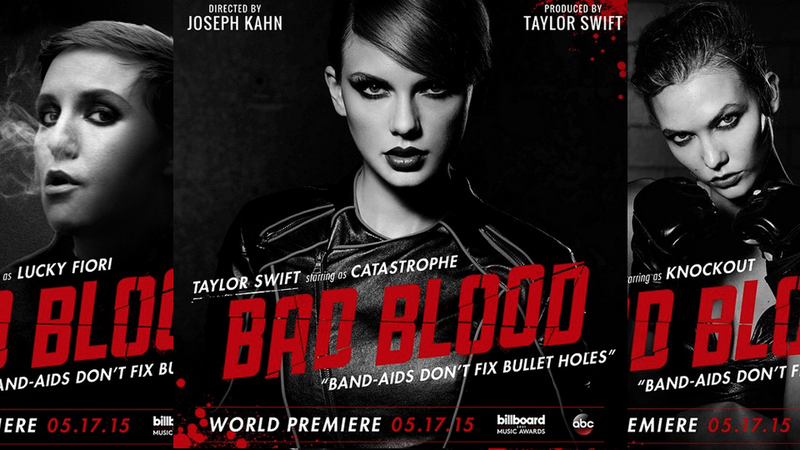 Taylor Swift released yet another teaser image for her upcoming video masterpiece “Bad Blood” today. Joining celebrities and Tay-BFFs like Lena Dunham, Hailee Steinfeld, Kendrick Lamar, Serayah, Ellie Goulding, Gigi Hadid, and Zendaya is... Ellen Pompeo?!?! Yes. Ellen Pompeo, star of Grey’s Anatomy, will be in the “Bad Blood” video as someone named Luna. Will Luna be the other characters’ doctor? Their neighbor? Their mentor? The villain? We won’t know for sure until the video and its city-sized cast debuts this Sunday, but until then I’ve created a list of people who, thus far, have not been cast. Will any of them show up in the final video? We’ll find out Sunday, I guess.